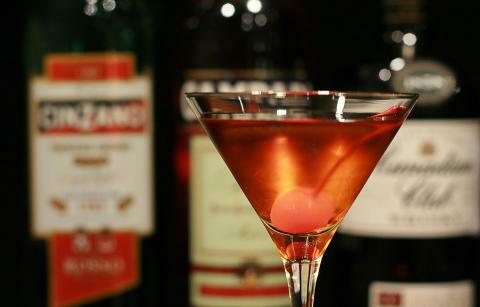 Like so many cocktails, the origins of the Manhattan are lost in time. The Democrat newspaper remarked in 1882 that, “It is but a short time ago that a mixture of whiskey, vermouth and bitters came into vogue” and observed that it had been known as a Turf Club cocktail, a Jockey Club cocktail and a Manhattan cocktail. There are many theories to how the Manhattan came about and the most popular of these is that in the early 1880s Dr Iain Marshall came up with the recipe for a party that was held at the Manhattan Club in New York City by Lady Randolph Churchill, Winston’s mother. Many people in the industry now believe that this story is a myth and that at the time Lady Randolph Churchill was pregnant (with Winston!) and at home in England, therefore not partying in New York. Some now think that a man going by the name of ‘Black’ invented the cocktail at the famed Hoffman House in New York City. 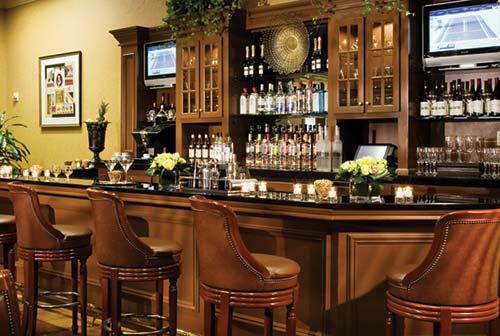 Whichever story you choose to believe The Manhattan Club still lays claim to the ownership of the recipe to this very day and the cocktail is still widely available in bars, restaurants and cafes throughout the world and is regarded by many bartenders as one of the best cocktails to ever have been served. People from the small North Frisian island of Fohr are passionate about the Manhattan cocktail and you will find that it is on the menu of most bars and restaurants. It is thought that many people from Fohr immigrated to Manhattan many years ago and took the recipe back with them to share with the people back home because they took a liking to the drink. If you want to be traditional the Manhattan should be made with American rye whiskey, although it is commonly created with bourbon or Canadian whiskey. Some people are of the firm belief that a Manhattan should be stirred and never shaken due to the cocktail foaming, and I have to say, I’d agree! All the recipes below are mixed in the same way, but the slight difference in ingredients makes for 3 very different drinks. Try each one, then make more of your favourite! Chill a martini glass or coupe in the freezer or by packing the glass with ice. Add all the ingredients to a shaker or mixing glass. Stir with a bar spoon for 30-45 seconds. You can also serve a Manhattan “on the rocks” (over ice in an old fashioned glass or tumbler) if you prefer, but be aware that it will dilute over time if you do. If you find your first one a bit strong, make your next on the rocks and stir it for a minute before drinking.